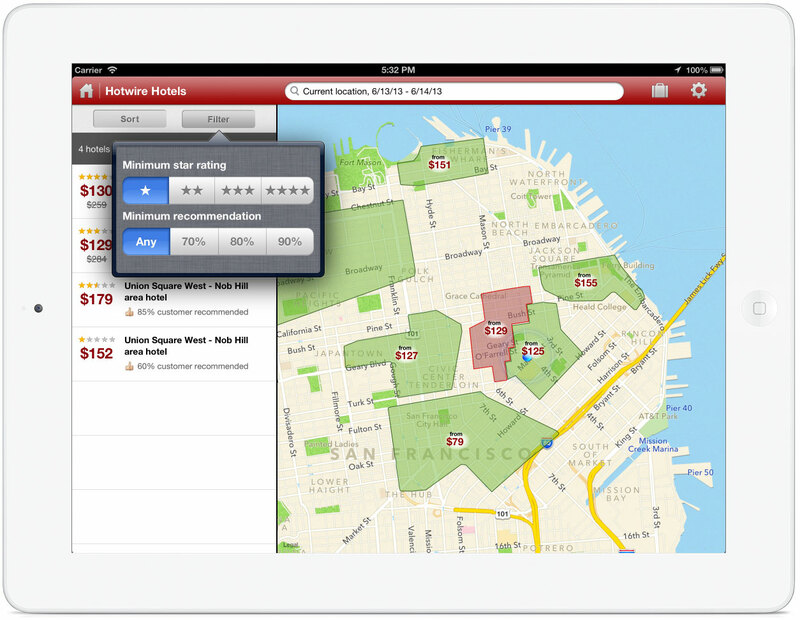 After arriving on the iPhone late last year, Hotwire, the popular travel discount site for flights and hotels, has arrived on the iPad via an intuitive App Store app. The iPad version launches today as a free, universal update to the existing iPhone app. The iPad app is very simple to use. From the start screen of the app, a user can input either their current location or another location where they want to travel, check-in/check-out dates, a number of rooms and guests, and tap a single button to immediately search for matching hotels.